Following is a partial listing of publications and presentations by Lucie-Mai DuFresne. 2008. "Mother and Goddess â€“ The Ideological Force of Symbols." 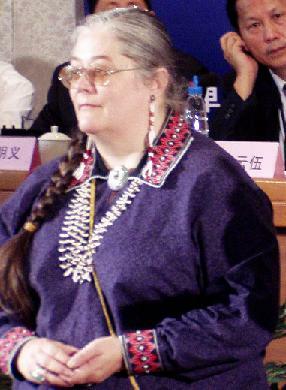 Barbara Jane Davy (ed. ), Paganism - Critical Concepts in Religious Studies. Volume 3 - Gender and Feminism. (3 vols). Routledge Major Works. 2006. "Mother and Goddess - The Ideological Force of Symbols." SÃ­an Reid (ed. ),Between the Worlds: Readings in Contemporary Neopaganism. Canadian Scholarsâ€™ Press / Womenâ€™s Press. First published in Canadian Woman Studies / les cahiers de la femme. York University, 1997, 17(1):101-02. 2000. Wicca / Paganism in Chaplaincy Handbook. Corrections Services Canada. 1999. "A la Recherche des Mots pour le Vivre..." in Canadian Folklore Canadien. CÃ©lat - UniversitÃ© Laval: 203-09. 2011. Keynote Address: "Voicing Our Faith â€“ Living Our Words â€“ Building Our Communities." Paper presented at the Gaia Gathering, Canadian National Pagan Conference. Concordia University, Montréal (QC), 2011 May 22. 2010. "Can a Culture be Healthy? Some observations from anthopology." Visiting Lecturer / Half-Day Course for the Canadian Forces School of Military Inteligence â€“ Strategic Defence Intelligence Analyst Course (Kingston, Ontario). 2009. "Maslowâ€™s Hierarchy of Needs as an Analytical Model for Constructing Alternative Strategies for Ethnic Conflict Resolution". Visiting Lecturer / Half-Day Course for the Canadian Forces School of Military Inteligence â€“ Strategic Defence Intelligence Analyst Course (Kingston, Ontario). 2007. "Intercultural Mediation as an Alternative to Ethnic Conflict - Some Insights from Anthropology". Visiting Lecturer / Day Course for the Canadian Forces School of Military Inteligence â€“ Strategic Defence Intelligence Analyst Course (Kingston, Ontario). 2007. "Origin Myths â€“ Bad History or Good Visions?" Paper presented at the Toronto Pagan Conference in Toronto (ON), 2007 March 4. 2006. Keynote Address: "Religious and Secular Lace Making in New France â€“ Uncovering the Evidence." Paper presented at the International Old Lacers Inc. (IOLI) Congress, Montréal (QC), 2006 July 23. 2006. 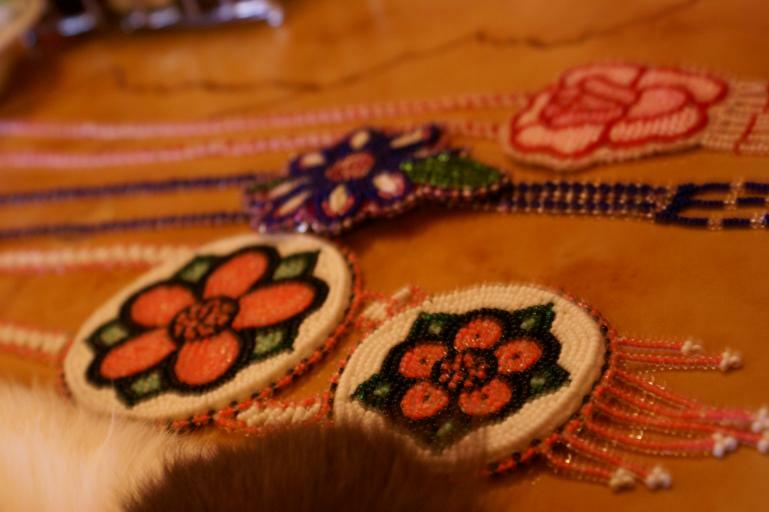 "Womenâ€™s Roles in Canadian Aboriginal Cultural Preservation and Development." Paper presented at the Yunnan International Forum: Indigenous Development: & Modernisation. Kunming (Yunnan), China. 2006 August 6-14. 2006. Keynote Address: "Museology in the Local Canadian Aboriginal Context â€“ Organization, Methods and Management." Paper presented at the Yunnan International Forum: Indigenous Development: & Modernisation. Kunming (Yunnan), China. 2006 August 6-14. 2005. "Finding the Words To Live By â€“ Francophone Canadian Paganism and the Cognitive Dissonances of Living in Translation." Paper presented at the Gaia Gathering â€“ Canadian National Pagan Conference. University of Alberta, Edmonton (AB) 2005 May 21. 2004. "Shamanic Power and Neo-Pagan Magic." Paper presented at the Shamanic Practices, Neo-Paganism and Goddess Spirituality Symposium. University of Ottawa, Ottawa (ON), 2004 May 8.